Many of the records are related to one another. 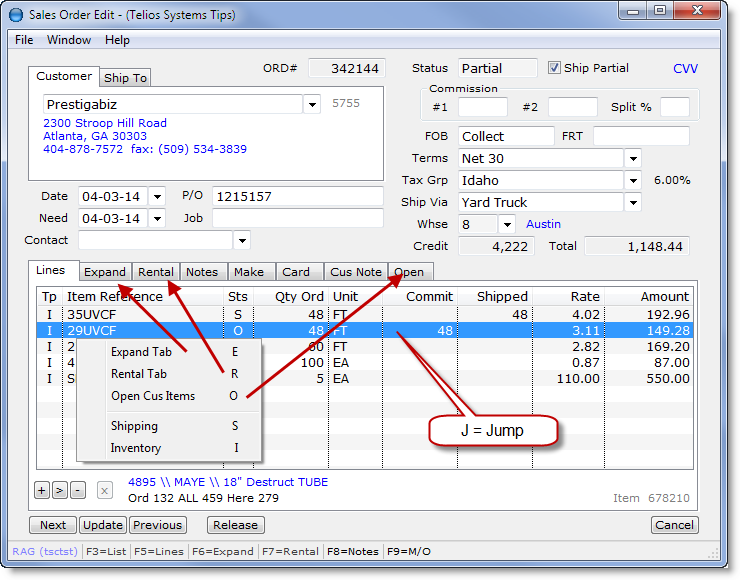 A Sales Order produces Shipping Orders, which produces Accounts Receivable Invoices. On the Sales Order there are line items which draw stock from Inventory, produce Make Orders, items from Purchase Orders. Jump is the means of getting from one of these references to the other. It is our means of “drilling down” from one piece of data to another. The programs remember the path that you travel while you are jumping from one record to the next. You can always go back the same way that you came.